My love affair with Positano, goes back to 11 years ago when my Italian friend recommended to my family and I to visit the Amalfi Coast. Those were the days before Instagram, and so Positano was just a tiny seaside town only popular among the Italians and not so famous among the foreigners. 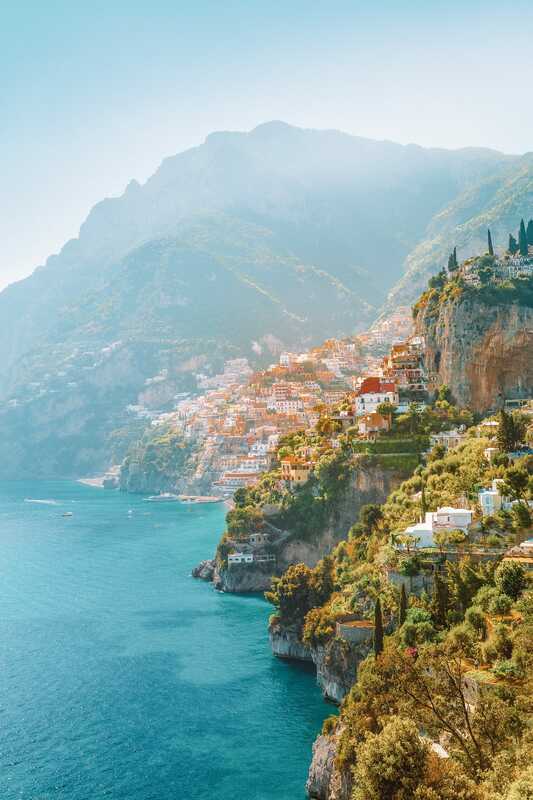 I absolutely fell in love with the Amalfi coast and everything about this place; from its breath-taking view, the mouth-watering food, the lemon gardens overlooking the sea, the colourful mosaics, to their rocky beaches! 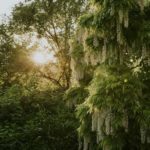 I have visited many beautiful Mediterranean destinations but this is a special place, somehow God has spoiled them with everything. 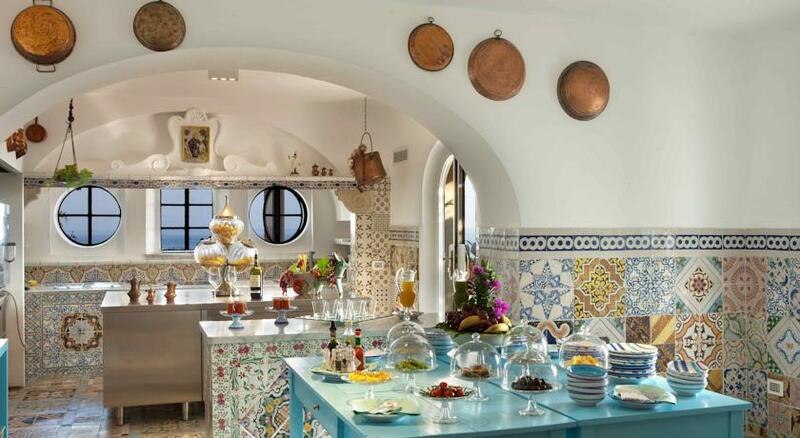 Amalfi coast is about 3 hours’ drive south of Rome and 1.5 hour from Napoli. 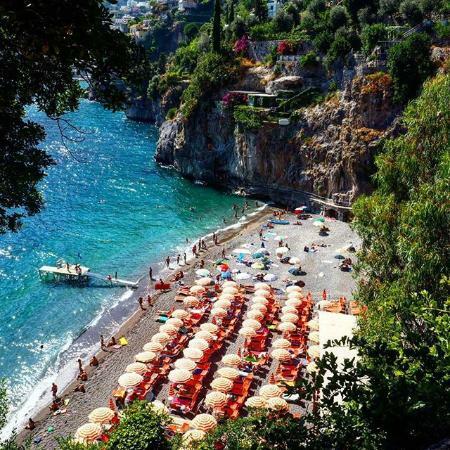 You can visit Amalfi Coast from April to mid-October but I would personally avoid the months of July and August, as it gets too busy with tourists, extremely hot, and of course the prices skyrocket! 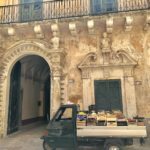 Here is a guide for your trip that consists of places I have discovered throughout the years I’ve been going to the Amalfi Coast. I recommend picking Positano as your base in Amalfi Coast, if your budget allows try to get a hotel/hostel/B&B with a view because it’s all about enjoying the breathtakingly view. 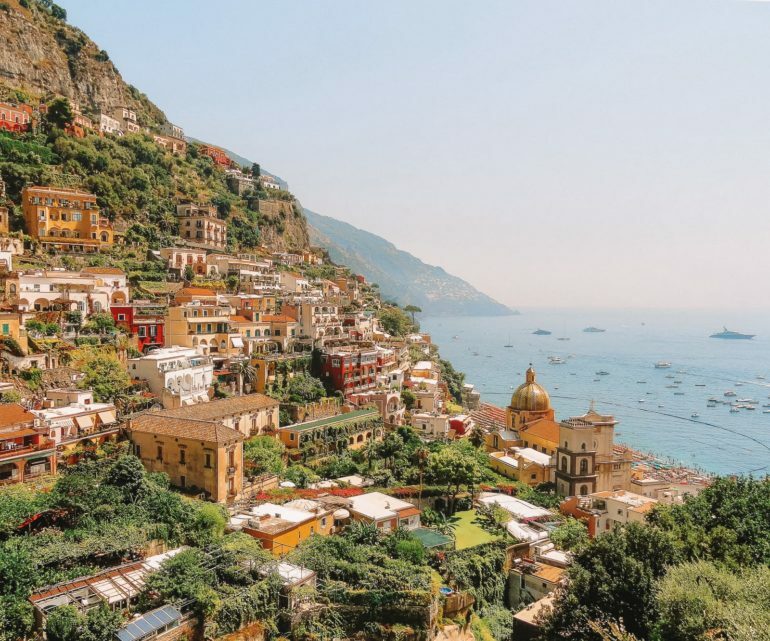 If Positano is out of your budget or you wish to stay somewhere less touristy, Priano is a tiny charming town next to Positano that you can reach by car or by bus. 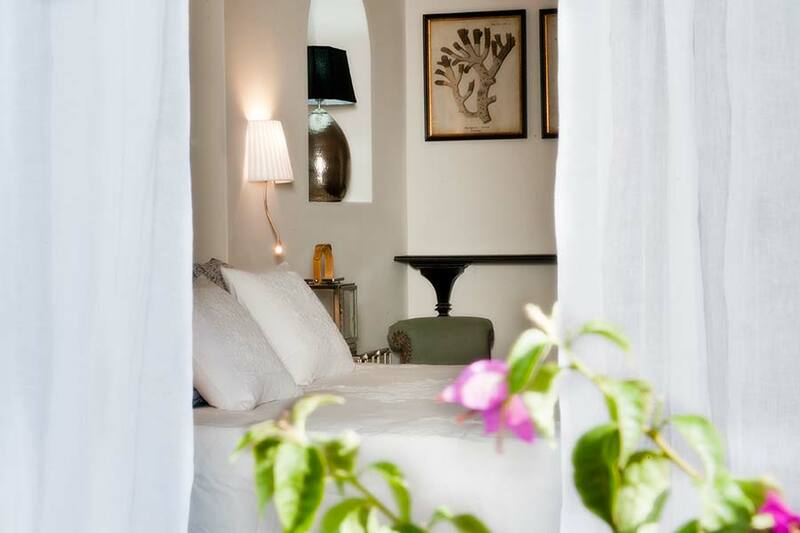 Casa Buonocore – Located in the heart of Positano, stylish decoration with lots of charm! 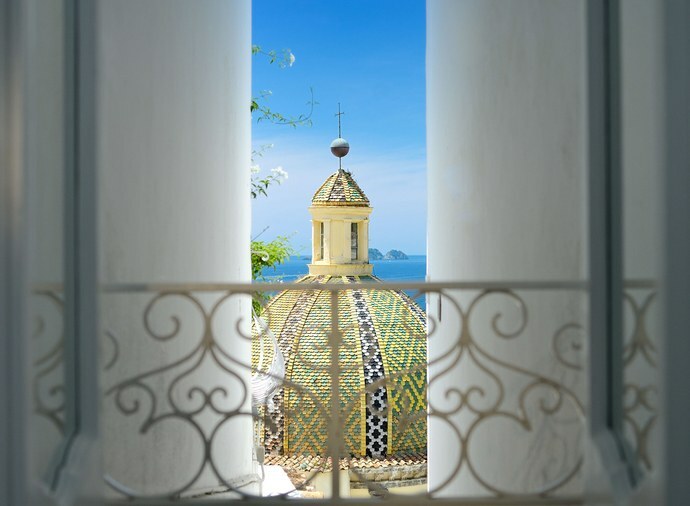 Hotel Palazzo Murat – Typical classical style of Amalfi, Palazzo Murat is in the center of Positano with an outdoor pool and restaurant. 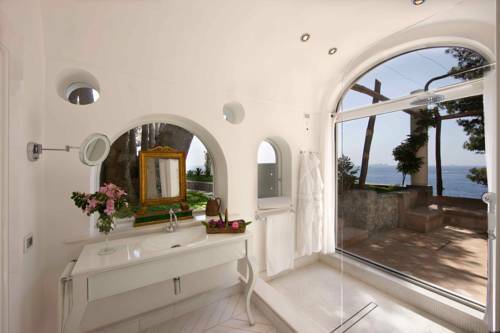 Villa Tre ville– No Budget? Book here! The photos will speak themselves! 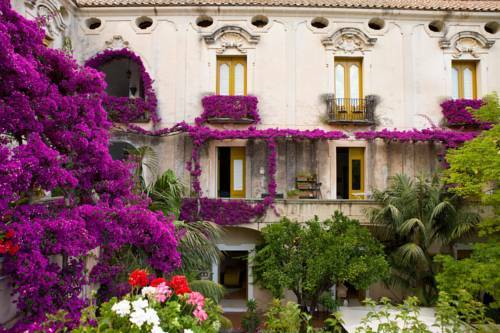 La Barbera B&B– Overlooking the sea in the town of Priano, this is a delightful B&B for a quiet and romantic stay. 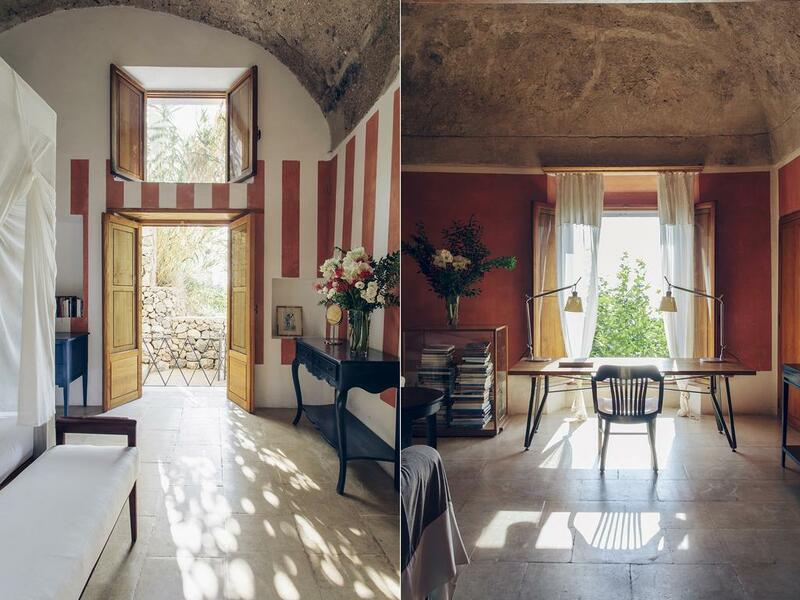 Ca’ Pa’ Casa Privata– Perfect hide away on the coast of Amalfi, Casa Privata was restored from an old and stony fisherman’s ruins surrounded by enchanting gardens, with a vision to create an exquisite and private retreat. If it’s the summer season I always take the taxi boat from the port of Positano to Arienzo beach club. This is a nice beach with a small restaurant with the best Caprese salad (Mozzarella with tomatoes)! 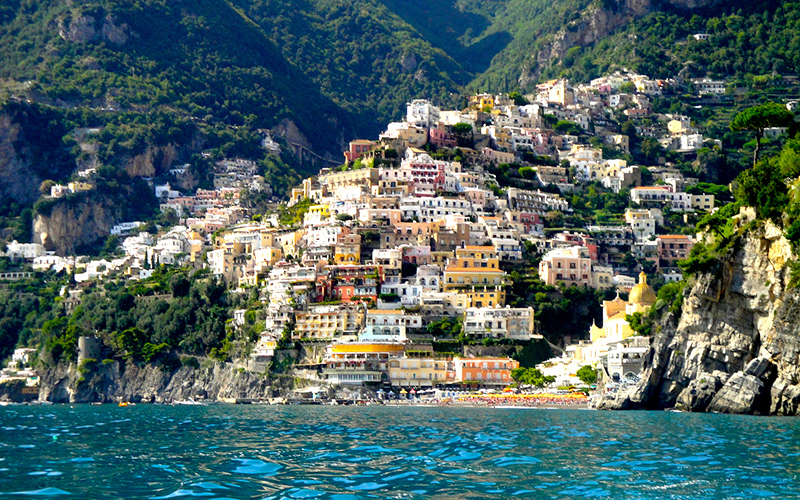 The boat ride is an added value as you can enjoy the beautiful view of Positano. Another great spot for lunch and a swim is Da Adolfo that again you can reach by boat. If your budget allows, rent a boat for half a day and go around the coast of Amalfi, ask the driver to also take you to Grotta dello Smeraldo (the cave with the turquoise water) for a swim! Positano is a small town with a lot of character, stroll around the shops and check out the narrow alleys and get your work out in by going up and down the stairs. 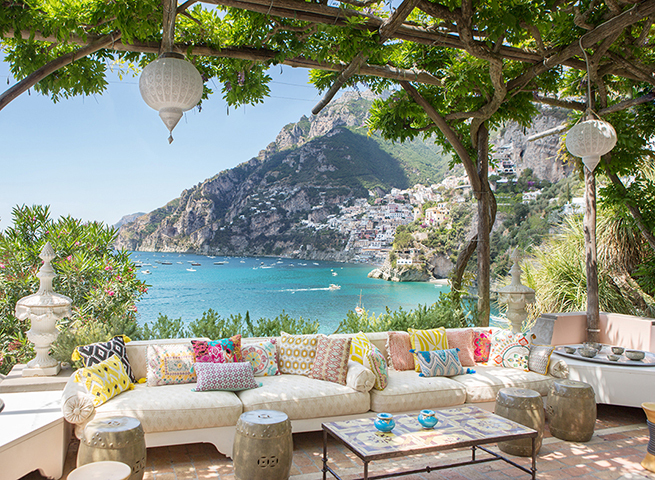 Believe it or not this place used to be a poor fishing village but the charm of Positano has made this place one of the most expensive seaside towns in the Mediterranean! 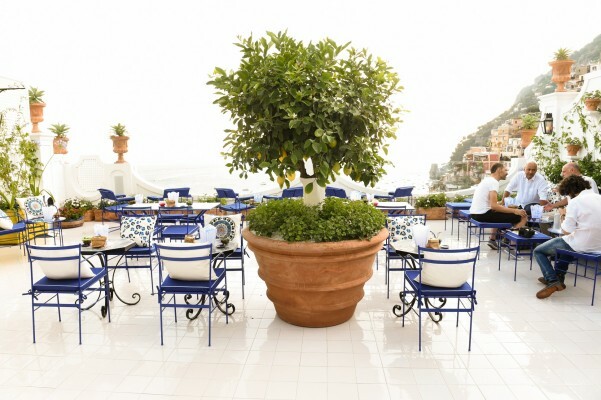 Hotel Le Sirenuse is probably one of the most luxurious hotels in Positano that is completely out of my budget however, during the sunset you can book a table to get an Aperetivo at their terrace overlooking the sea and enjoy the fabulous atmosphere of the hotel. 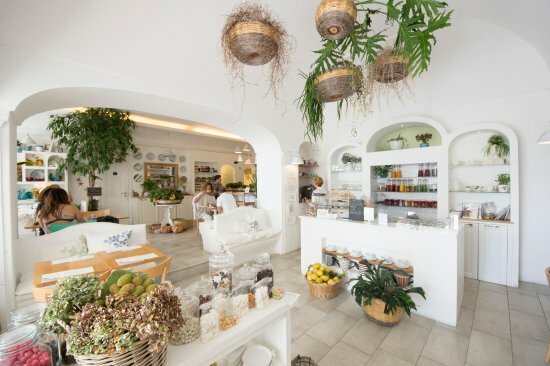 Casa e Bottega– Charming spot perfect for breakfast, snacks, juices, and lunch. 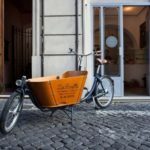 Da Vincenzo– Typical and simple cousin of Amalfi coast. 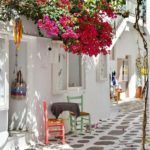 Da Gabrisa– Great view and delicious food. Next2– Modern and clean cousin with fresh local ingredient. 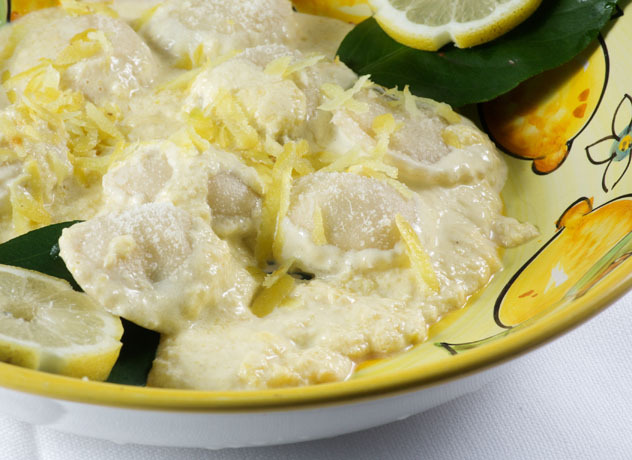 Some of the typical dishes that you must try: Caprese Salad (tomato & Mozzarella), Pesce all’acqua pazza (fish in crazy water), Melanzane alla Parmigiana (aubergine with Parmigiano cheese), Pasta/Ravioli with lemon sauce and any desert with lemons as they have the best lemons in the world. As for the wine try Falanghina (the local white wine) and of course no meal will end without Limoncello as a digestif! 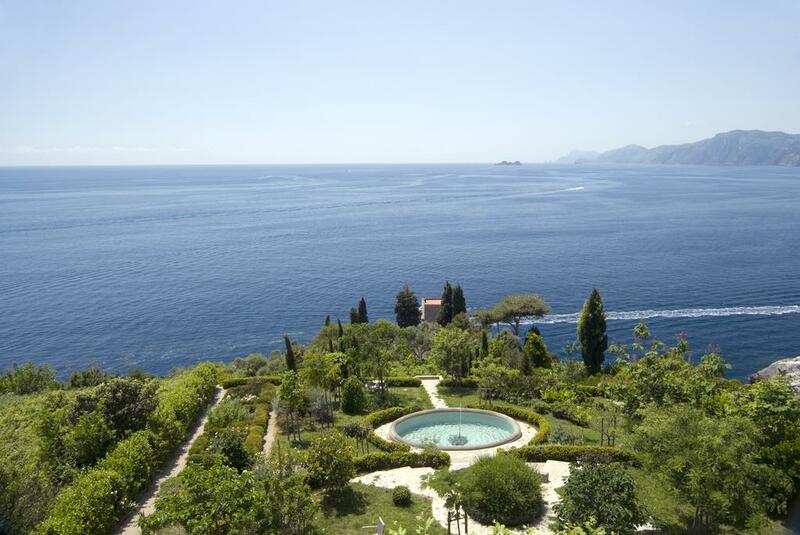 Amalfi Coast will not be completed if you don’t visit, Amalfi, Ravello and Capri. Check out my next posts on Ravello, Amalfi and Capri!